The manager is a job title that is used in organizations to denote an employee who has certain duties and responsibilities to lead functions or departments and/or employees. The manager is assigned to a particular level on an organizational chart. Employees who have the job title of manager have diverse duties and job responsibilities for people and functions. The job description of a manager varies from organization to organization depending on the specific responsibilities that are assigned to the job function. In some organizations, the title, manager, is only assigned to employees who have other employees reporting to them as seen on an organizational chart. In other organizations, the title of manager is also assigned to employees who manage a functional area. For example, Tracey has the job title of manager. She has no reporting staff but she is responsible for expanding sales to international markets. The manager's role and job description are at a pay grade or job classification level of the organization that integrates functions and departments for implementation success. The manager who is responsible for a department normally has directly reporting employees for whom he or she has leadership responsibility. Larger organizations may also have senior managers or managers of managers who report to either the director level or the vice president level, depending, usually, on the size of the organization. A thoughtful description of what a manager does or should do comes from the "Harvard Business Review." In their description of the role and duties of a manager, "Management is the responsibility for the performance of a group of people." Another traditional definition echoes a similar job role: "A manager is responsible for overseeing and leading the work of a group of people." But, what else does a manager mean and what does a manager actually do? A manager leads people. He or she is also responsible for leadership over a segment of work, a sub-section of the organization's results, or a functional area with or without reporting staff. Or, as highlighted above, some managers are responsible for functions. If you want to eliminate confusion, these positions should have titles such as international sales development leader or international sales development coordinator. Bill is the marketing manager and he has six reporting staff members. In this instance, Bill is responsible for a sub-section of the organization's results, the functional area marketing, and for the six direct reports. Mary is the manager of Human Resources, a functional area, and sub-section of the organization's results. She currently has no reporting staff members, but as the company grows, she plans to add reporting staff. Bethany is the manager of trade show and event marketing. She manages the functional area of trade shows and event marketing. She has no staff currently and none are planned for the future. She draws upon the people resources of the department for which she is coordinating the event. Additionally, different marketing department members help her publicize and staff the event; for example, the public relations manager, the marketing communications writer, and the graphics designer, none of whom report to her, might help her plan, market, and stage an event. Elizabeth is the senior manager of customer engagement. In this role, she is responsible for the work and results of the four departments that comprise the department of customer engagement. In this role, the four department managers report to her for their overall leadership and direction. These four managers, in turn, head up their own functional areas: the customer service representatives, the technical support specialists, the administrative services staff, and the external training and development staff. Employees who have the job title of manager, as you can see, have diverse responsibilities for people and functions. In general, every manager's job is different, but they all have these responsibilities. 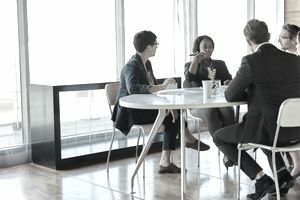 Because the role of the manager bears significant responsibility, accountability, and authority within an organization, the manager has the following responsibilities. Plan: planning the operation and function of the area over which the manager is assigned responsibility in a way that accomplishes the goals for which he or she is responsible in the workings of a total organization. Organize and Implement: organizing the production of the work, and the workforce, training, and resources necessary to do the work, in a way that accomplishes the desired and required outcomes to meet the goals. Direct: providing the employees and their resources with enough guidance, direction, leadership, and support necessary to ensure that they are able to accomplish their goals. Monitor: following up to ensure that the plan to achieve the goals is being carried out in such a way that its accomplishment is assured. Evaluate: reviewing and assessing the success of the goal, the plan, and the allocation of the employees and their resources using solid, reliable measurements. Performing other responsibilities as assigned by the president, vice president, or director to whom the manager reports. These responsibilities are diverse and far-reaching in most organizations and depend on the organization's goals and objectives. These are the traditional roles of a manager. You can find more information about each of these roles in The Basics of Management in the management section of TheBalance.com. Additional responsibilities and recommended approaches to working effectively as a manager are available in these resources.